Vanessa Berhe’s mother tried hard to teach her daughter about the rich culture and history of her ancestral home. Born in Sweden to Eritrean parents, Vanessa would listen to her mother’s stories about a land where towering mountains dropped precipitously towards the sweltering and inhospitable Red Sea coast. Woven into these stories were the epic tales of the Eritreans who had, for 30 years, fought against Ethiopian rule, finally attaining statehood in 1993. Eritrea had been declared an autonomous part of the Ethiopian Federation in 1952. But, 10 years later, Ethiopia’s Emperor Haile Selassie had dissolved the federation and annexed Eritrea. 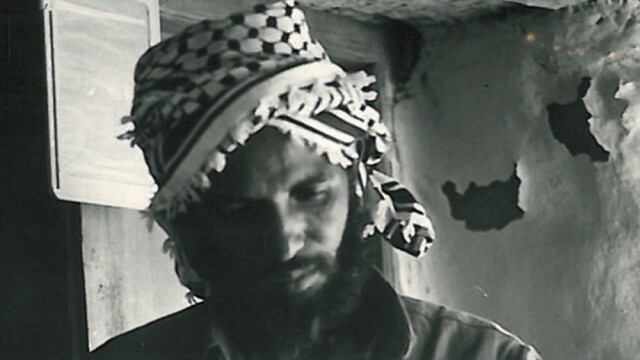 In 1977, as a 25-year-old university student, Seyoum joined the fighters of the Eritrean People’s Liberation Front. But it wasn’t an easy role. “You feel guilty when you take all these pictures. It is different for somebody who is helping these people, than [it is] for somebody who is taking pictures, just standing over someone who is dying or bleeding,” he said. In Ethiopia, meanwhile, the Ethiopian People’s Revolutionary Democratic Front, which had been engaged in a civil war against the Ethiopian government, came to power. Two years later, the Eritrean people voted overwhelmingly in favour of independence in a referendum held with the support of Ethiopia’s new ruling party. The EPLF, which had been renamed the People’s Front for Democracy and Justice, was now in power. But the habits of war were hard to break, and the newly elected government ruled the country much as they had run their liberation movement. Demobbed fighters were assigned new forms of national service, whether planting trees to combat soil erosion or rehabilitating the country’s colonial era steam railway system, the steel rails and heavy wood ties of which had been dug up and used as bomb shelters during the war. The president, Isaias Afwerki, and a small coterie among the ruling party’s central committee grew increasingly dictatorial. And as the euphoria of attaining independence waned, many Eritreans began to express their desire for greater individual liberties, and an alternative to the seemingly endless national service. Seyoum was part of this movement. He began working in independent film production and became a regular contributor to the independent newspaper Setit. The paper was a thorn in the government’s side. Some veterans of the struggle, as well as some younger Eritreans, felt that they had a right to more than just national sovereignty – they wanted personal and political freedom too. Triggered by a dispute over the border town of Badme – which both sides claimed and which, in 2002, a boundary commission ruled should fall inside Eritrea – the war lasted for two-and-a-half years. Since film cameras and editing equipment were expensive, he requested that the Ministry of Information equip him to film the war. In turn, he promised to provide all of his footage to the state. He didn’t want to be paid and simply saw it as a continuation of the work he had done during the struggle for liberation. Seyoum soon began to question the war’s rationale, writing regularly for the country’s largest independent newspaper. Why did the blood of yet more sons and daughters have to nourish the country’s already-sated soil, he wondered? When I met Seyoum in early 2001, the border war hadn’t long ended and the cracks within Eritrea’s leadership were becoming more apparent. Haile Woldensae, the minister for trade and industry and a cofounder of the ruling party, agreed to speak to me about it. He questioned the failure of the government to make the transition to true democracy, acknowledging his role in this as one of the leaders of the liberation fighters who had been at the forefront of the movement’s totalitarian tendencies. For many decades, he had even been in charge of its propaganda. “We have to suffer from what we have done before. In following one line of thought, one school of thought, there are costs that one has to pay,” he said, referring to the propaganda campaign the liberation movement had run throughout the war. “That ideology was a very motivating thing and the people were very committed. That is why, in the liberation struggle period, the photographers – the propagandists – had an important role in the society,” he said. All of the 2001 interviews I conducted were done in the presence of Paulos Zaid, an Eritrean journalist working for the state’s English language magazine, Eritrea Profile. He had seemingly been assigned to work as a translator and fixer. But, in truth, his role was to report to the government on what the other Eritreans – Seyoum, Haile Woldensae and the others we spoke to had to say. With the country’s first multi-party elections planned for December 2001, there was an intensified crackdown on dissenters. There were whispers about opponents of Afwerki being arrested, but the facts were hard to come by. Some student leaders were also picked up, as were 11 cabinet ministers and ruling central committee members, who had been part of what became known as the G-15, a group of 15 people who had issued an open letter in May 2001, criticising the government’s failure to implement the constitution and its postponement of elections. Among those was Woldensae. He wrote: “It is now my 6th month since I left Eritrea on foot with only my sandals, single trousers and a shirt …. “I left your address in my wallet, which I deliberately discarded at the jungle while I was crossing the mine-infested border with Ethiopia. At the moment, I do not have good news to tell you. If you remember my discussion with both of you at your hotel’s parking lot the night before you left, I was losing hope about and confidence in the much-talked politics of Eritrea. However, I did not realise that things would be falling apart at such speed as they have been doing in the past six months. Worse, the fire that is consuming many innocent Eritreans was to come to me if I did not flee on time …. But he couldn’t write much more, he explained, for “internet service is very expensive here – 0.75 cents a minute. I have so far sacrificed 10 cigarettes to write to you”. A friend of Zaid’s, Kidane Yibrah, a sports journalist seconded into military service, had helped him flee. Yibrah, it emerged, had been leading a secret second life – as the founder of an underground newspaper that opposed the government. In Sweden, Seyoum’s five-year-old niece was told the news. Her uncle, who had featured so prominently in her mother’s stories, but whom she had never met, had been imprisoned. For Seyoum’s family in Sweden, the distance and lack of reliable information has made their plight all the harder. For many years, he was held in solitary confinement, the guards reported. But still he continued to defy his jailers by refusing to give his support to the country’s rulers. “Most people don’t even know the country exists, and I wanted to tell about the human rights abuses there,” she explains. “Currently, I am trying to inform people about Eritrea, like with the latest Eritrean exodus of refugees. Many countries want to give the Eritrean government money because they say that the refugees are economic refugees and if we give them money they will stay in their own country. They do not understand that they are political refugees,” she explains. Her hope is to help not just Seyoum, but all of the country’s political prisoners. Together with various organisations and human rights lawyers, she has filed a habeas corpus demand for the Eritrean government to produce these detainees in a court of law, as is required by international law, as well as by Eritrea’s own constitution and laws.